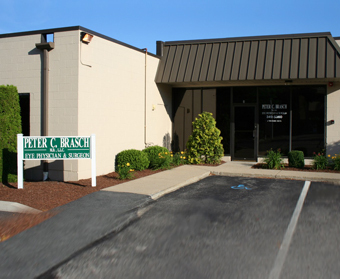 The office of Dr. Peter C. Brasch provides comprehensive eye care in a pleasant and comfortable setting that is conveniently located directly off Interstate 295 in Smithfield, Rhode Island. 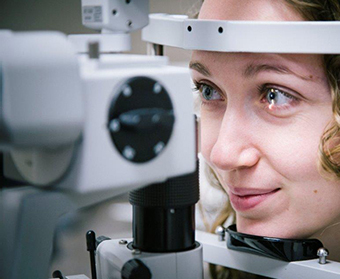 Peter C. Brasch, MD, is a board certified Ophthalmologist (eye physician and surgeon) who has been in practice in the State of Rhode Island for over 25 years. Dr. Brasch is an active staff physician at Rhode Island Hospital. He is also on courtesy staff at St. Joseph/Fatima Hospital. 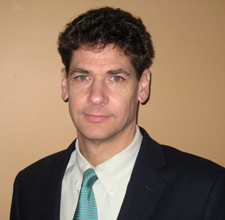 He is a Clinical Assistant Professor of Surgery (Ophthalmology) at The Warren Alpert Medical School of Brown University. 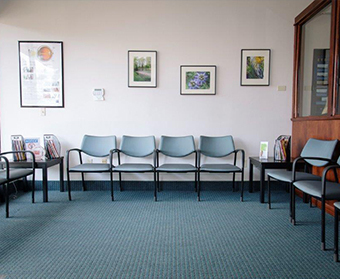 Dr. Brasch and his staff are committed to providing each patient with personalized attention in a caring and respectful manner. Most major insurance plans are accepted. Office hours are Monday through Friday, from 8:45 AM to 11:30 AM and 12:45 PM to 4:45 PM. We look forward to welcoming you to our office.